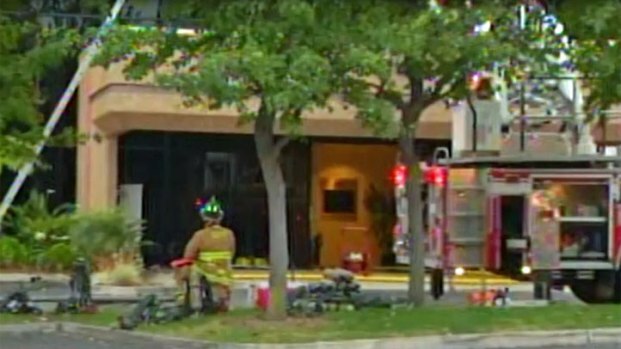 A 911 call reporting smoke alerted firefighters to flames inside a Kearny Mesa office complex – not the building’s fire alarm. An employee arriving to work called 911 to report the smoke. The building’s fire alarm did not go off on the fire department’s end. A spokesperson with the property's fire sprinkler system said the company also contacted 911 when the sprinklers responded to the heat. They made the call about 15 minutes after responders arrived to the scene. Firefighters arrived to an office park in Kearny Mesa Monday morning to find the sprinkler system had taken over long before they arrived. San Diego Fire-Rescue Shift Commander Colin Stowell told NBC 7 San Diego the department is very concerned about the building’s third floor since so much water has flooded the offices. “There’s so much water in there that there is a concern about the weight of the water up on the third floor and there’s also a concern with the utilities in the building,” said Stowell. An estimated six inches of water has flooded the third floor and is spreading to the first and second floors officials said. The fire department also said that several thousand gallons of water went out into the third floor. Firefighters say there are up to six inches of water on one of the floors inside the building at 9444 Chesapeake Drive in Kearny Mesa. Brandi Powell reports. Computers on the third floor are “totally ruined” Stowell said. 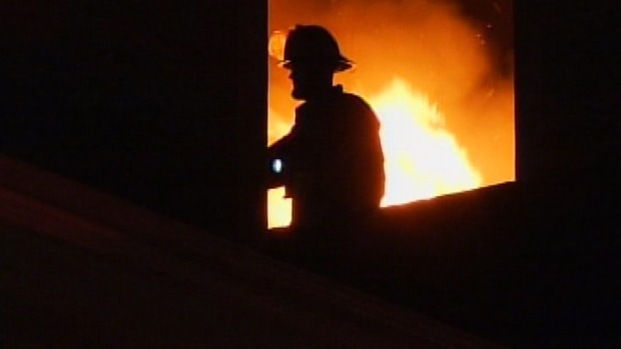 Officials said the cause of the fire was electrical.